What the what! Lampard outcoaches Mourinho!! 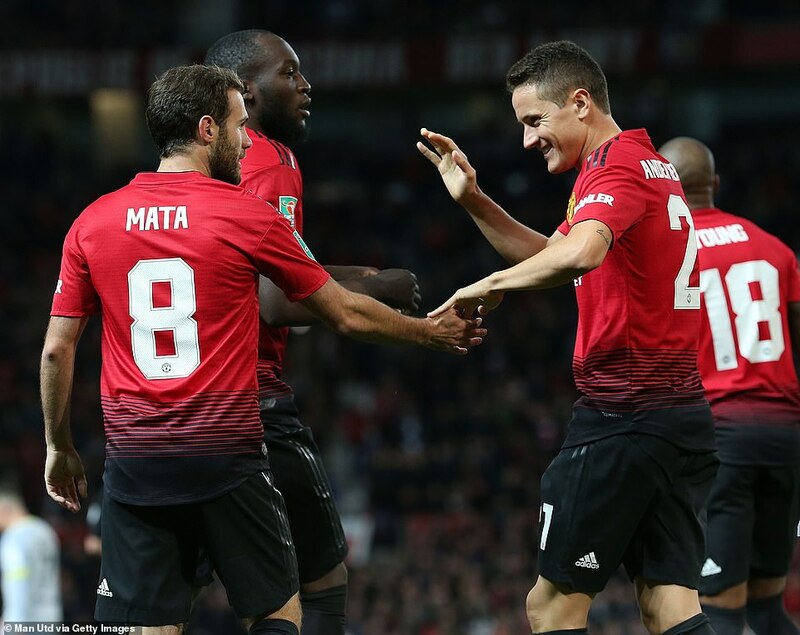 Scott Carson was the hero as Frank Lampard’s Derby knocked Manchester United out of the Carabao Cup on penalties at Old Trafford on Tuesday night. 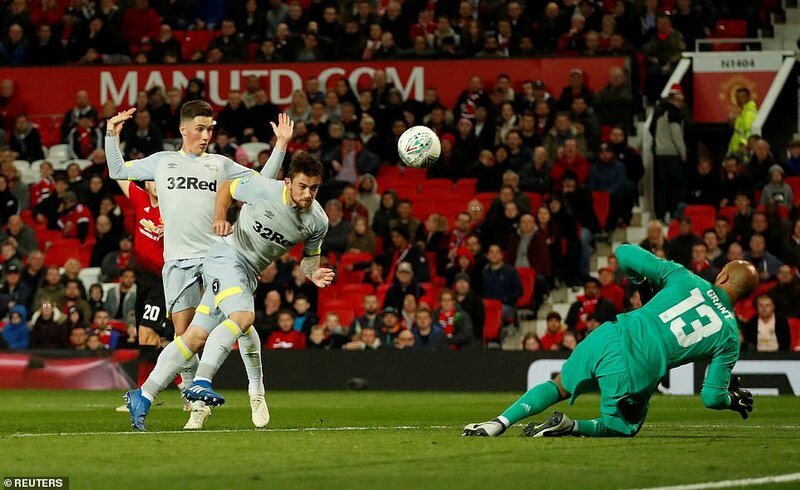 Keeper Carson saved from Phil Jones to send Derby through 8-7. 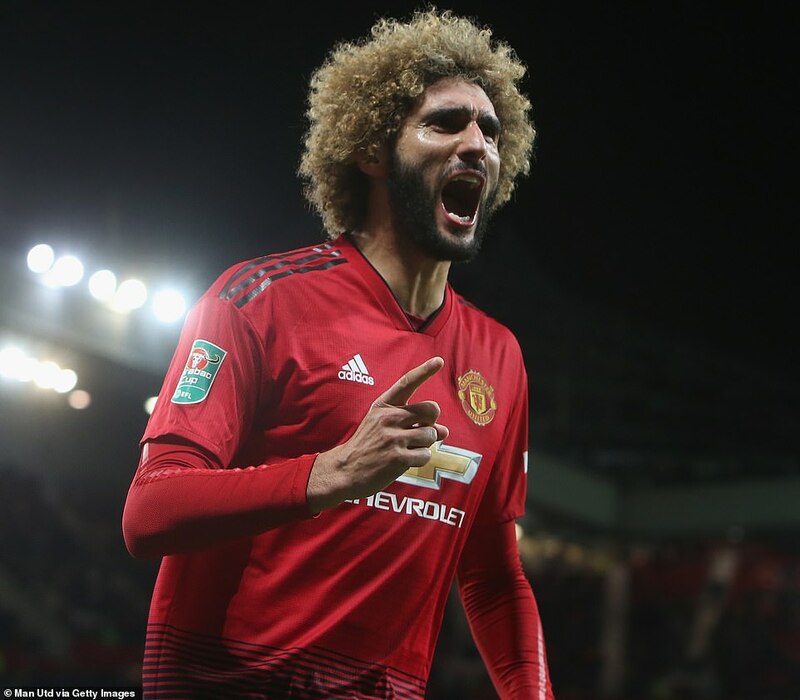 Marouane Fellaini had taken the game into penalties with a goal in the 95th minute after Jack Marriott put Derby 2-1 up late in the game. 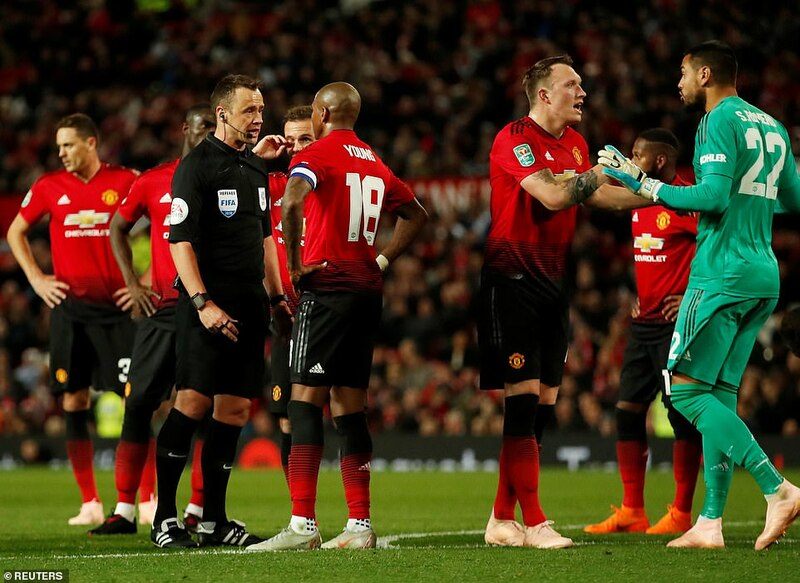 United were down to ten men from the 69th minute when goalkeeper Sergio Romero was sent off for handling the ball outside his area. 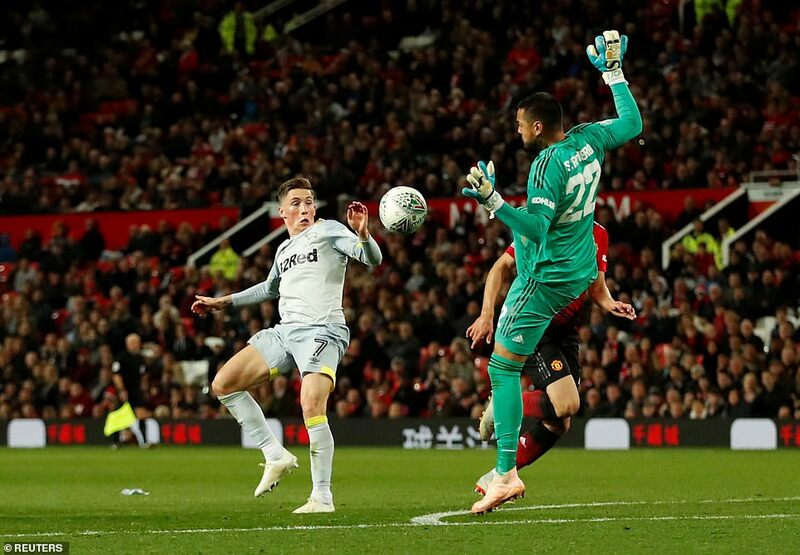 Mourinho’s side had gone ahead after only three minutes through Juan Mata but Derby hit back on the hour when Harry Wilson fired home a fantastic free kick. 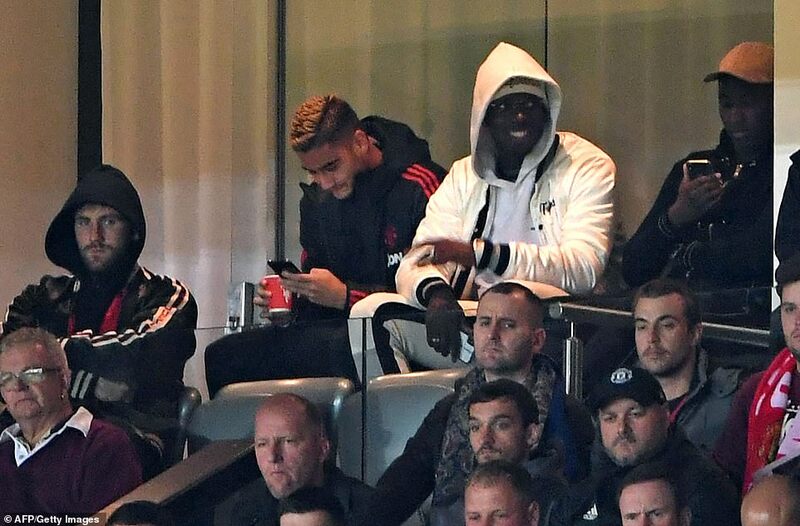 Paul Pogba was hiding himself inside a white hoodie and tried to watch quietly from the stands. 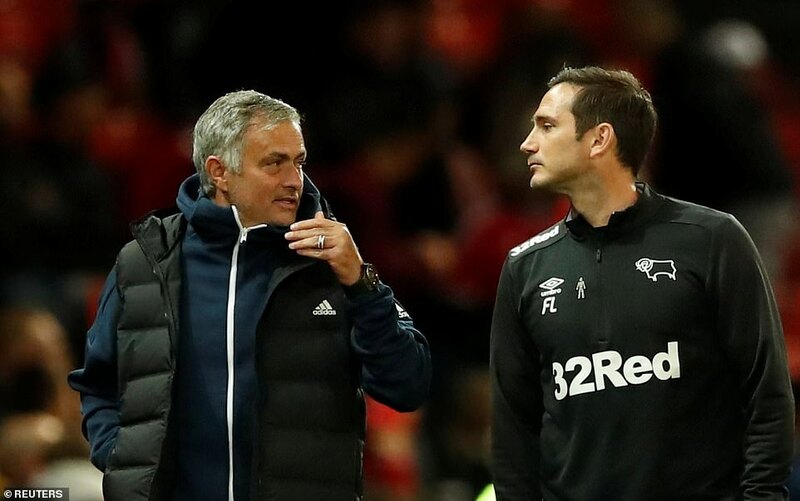 In the event, Mourinho could have done with his £89million man to break the resolve of the Championship side and his old Chelsea favourite Frank Lampard. 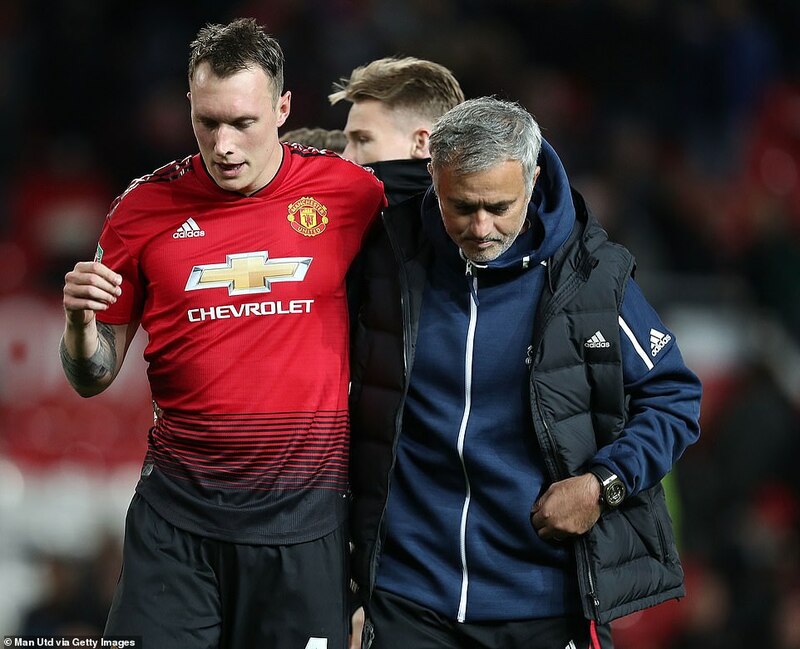 In the absence of Pogba and regular captain Antonio Valencia, Mourinho handed the armband to Ashley Young who was one of nine changes from the disappointing draw with Wolves here at the weekend. United were ahead inside three minutes of an entertaining first half. 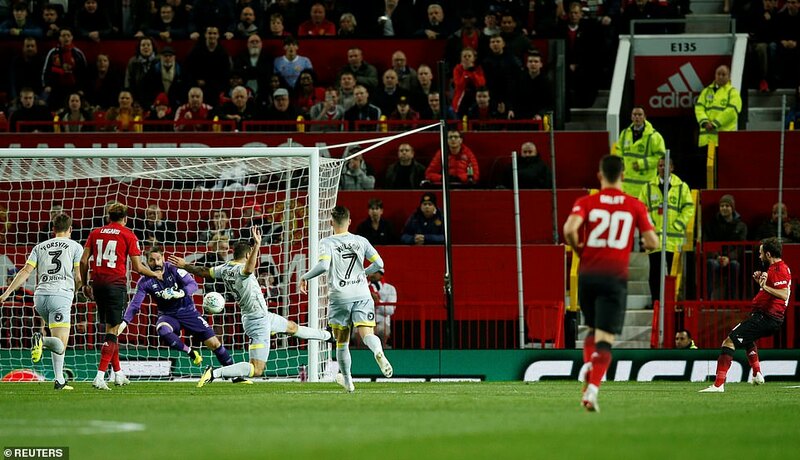 The goal came from a sweeping move that began down the left where Martial took the ball down with a fine touch and played it across goal. 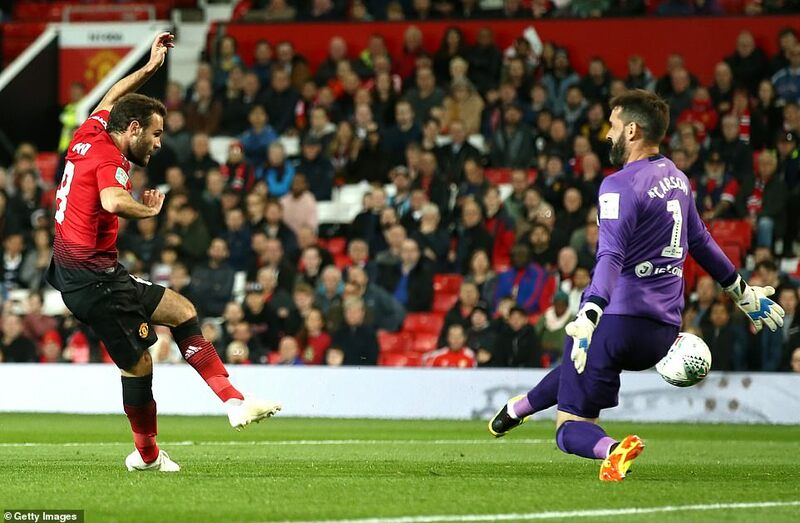 Romelu Lukaku tricked the Derby defence with a clever step-over and Jesse Lingard moved the ball on to Juan Mata who swept his shot beyond Scott Carson. The Spaniard should have had a second five minutes later when Young picked up him out with an excellent ball from deep. 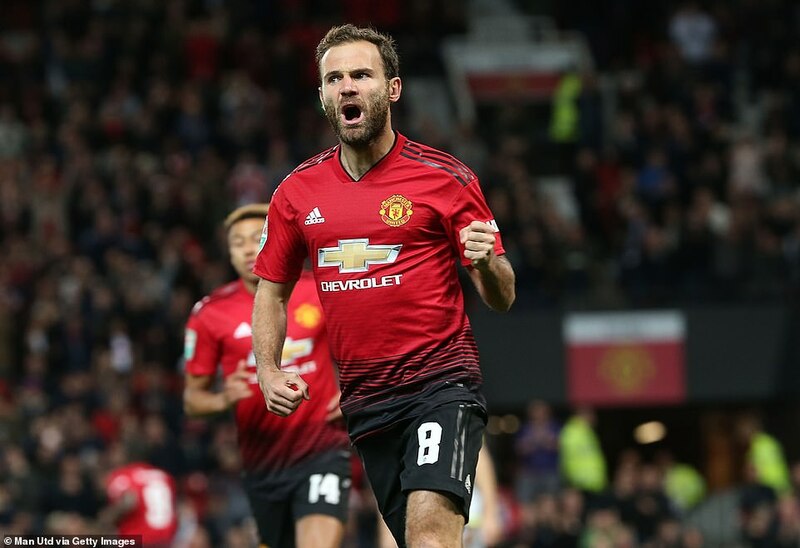 Mata showed fine control to tee himself up eight yards out but Carson had closed down the space and spread himself to make a crucial block. 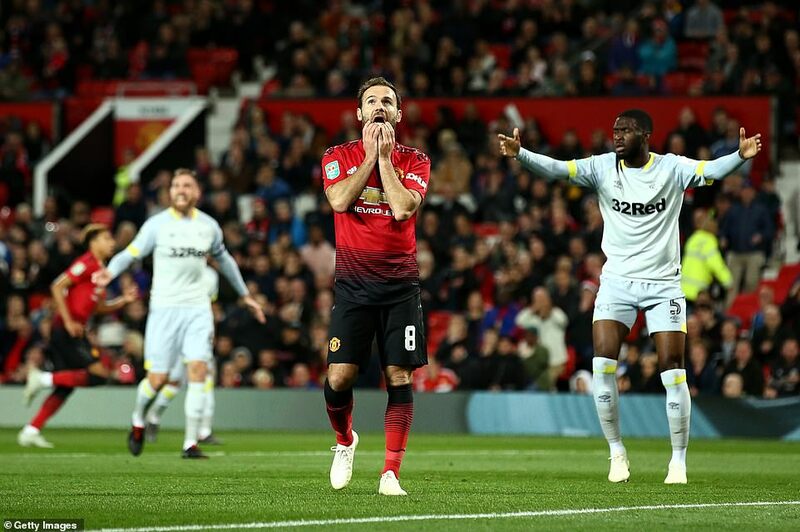 Richard Keogh almost gifted United another goal when he stumbled calamitously on the ball for no apparent reason and Lukaku seized his opportunity. 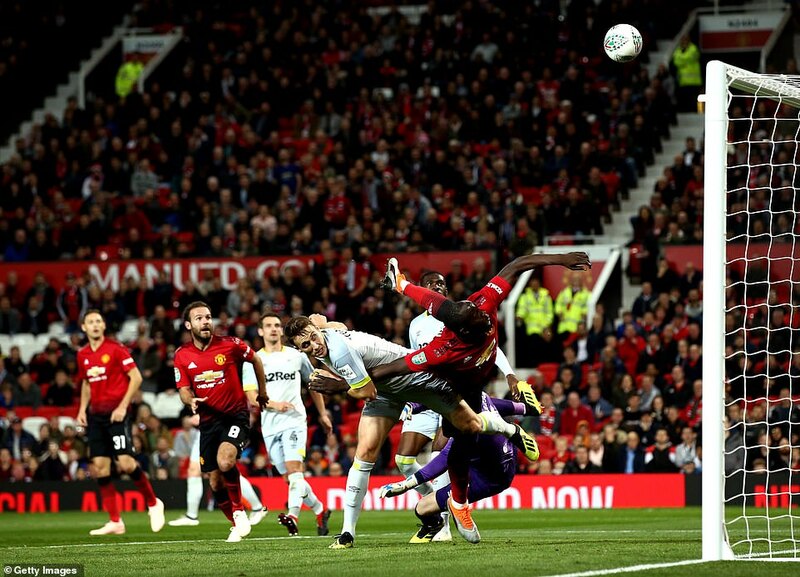 The big Belgian played the loose ball through Keogh’s legs and drove towards goal, but Fikayo Tomori came to his teammate’s rescue by putting enough pressure on United’s No 9 to force him to shoot just wide. 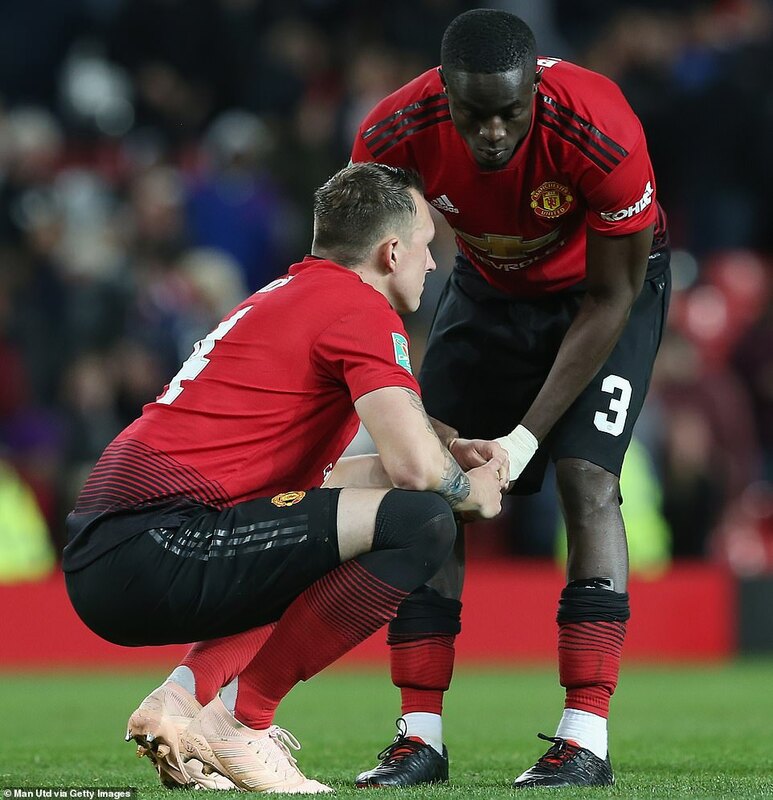 Lukaku was presented with another chance in the 24th minute when Martial teased Jayden Bogle and clipped in a clever cross that left Carson pawing at thin air. 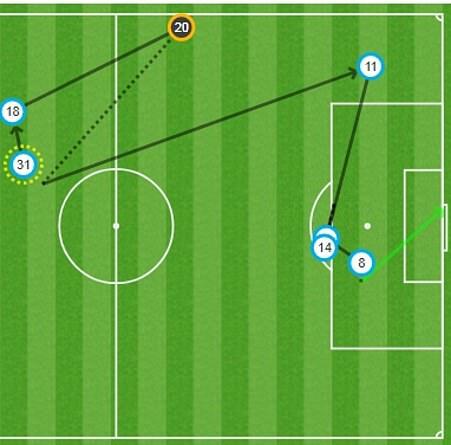 However, Lukaku’s header at full stretch looped over the bar from close range. 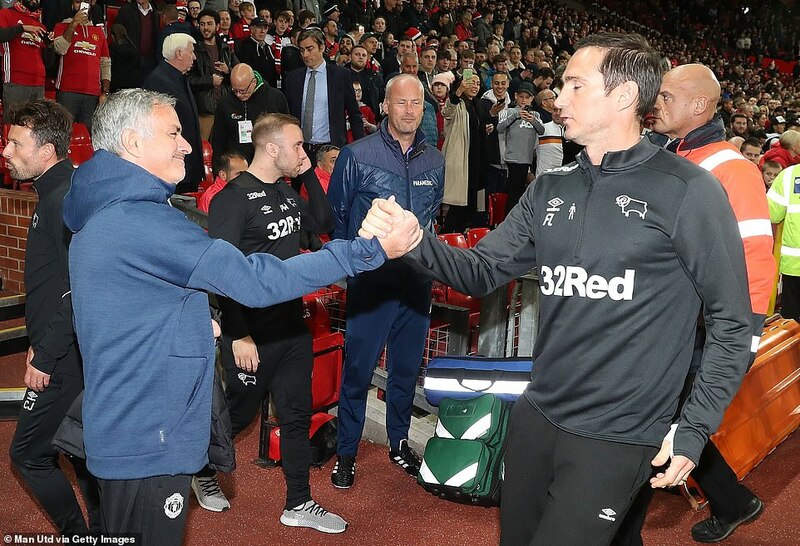 With Lampard ever-present in the technical area while his old mentor Mourinho chose to stay conspicuously quiet in the dugout, Derby looked lively in possession and had opportunities to equalise before the break. 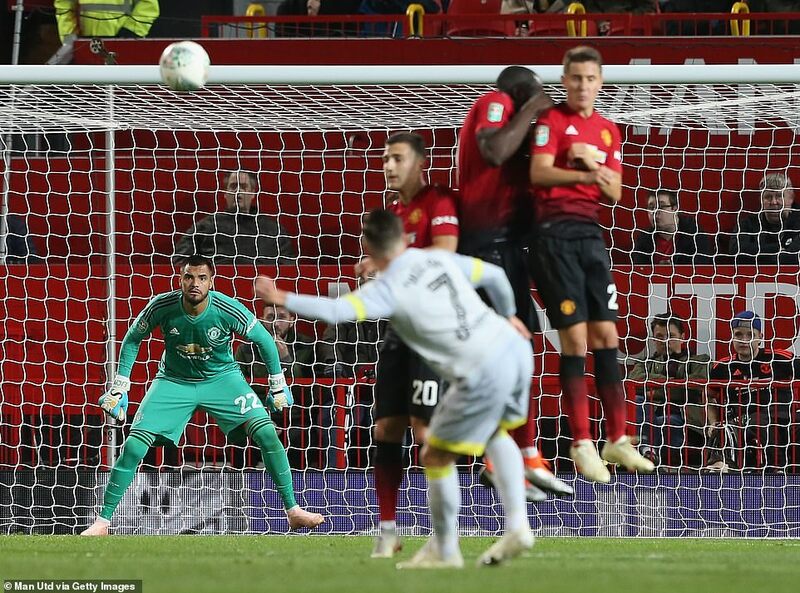 The best of these fell to Mason Bennett who connected with Mason Mount’s cross to the far post but was denied by Sergio Romero. Craig Bryson then flashed a shot narrowly wide in the 21st minute after more neat build-up play. 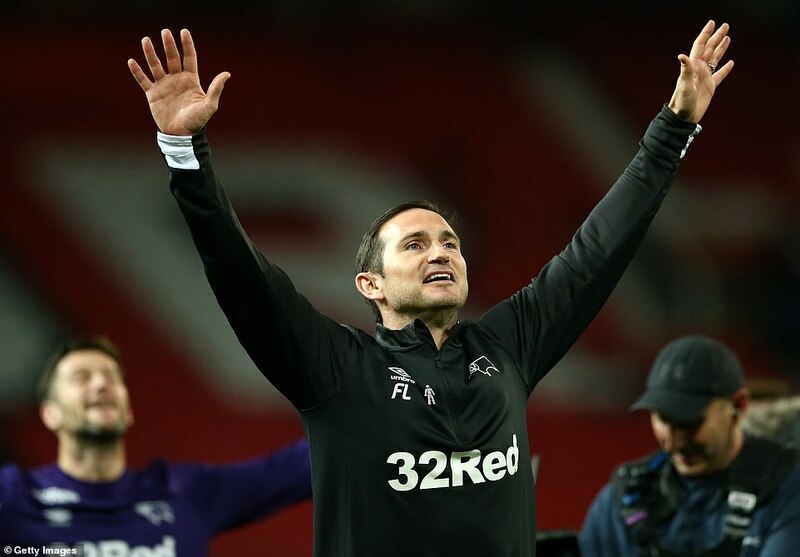 Derby began the second half in even more purposeful mood and were inches away from scoring in the 53rd minute. 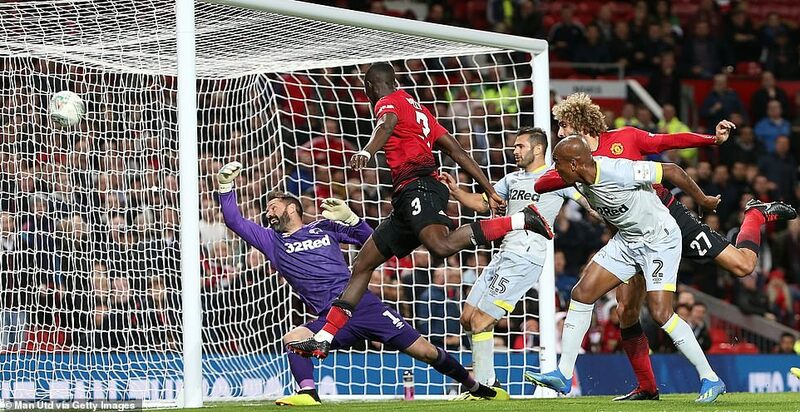 Eric Bailly thought he had broken up an attack when he got a foot in to poke the ball away on the edge of the box, but it ran for Wilson. 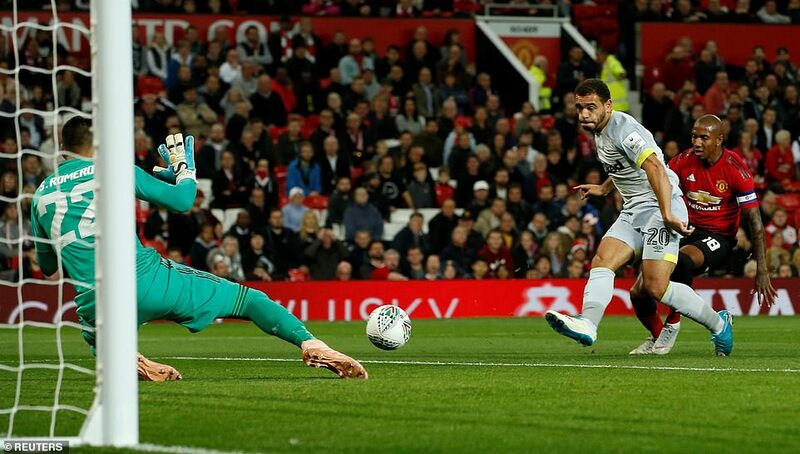 The youngster on loan from Liverpool caught his shot cleanly enough but Romero parried it and the ball flew wide. Better was to follow, however. Much better. When Young was penalised for a foul 30 yards from goal on the hour mark, Wilson put his hand up to take the free kick and sized up a shot. It was one of those deliveries where the ball hardly turns in the air but swerves viciously. 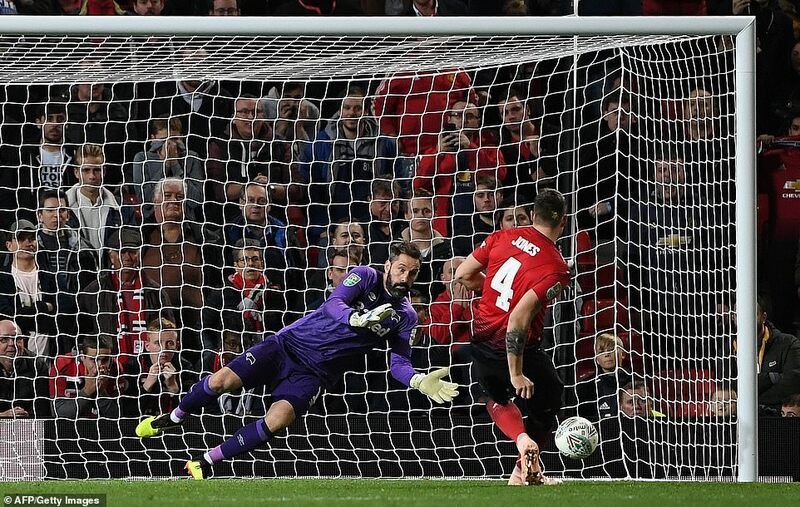 Romero stood motionless as it arrowed into the top corner. 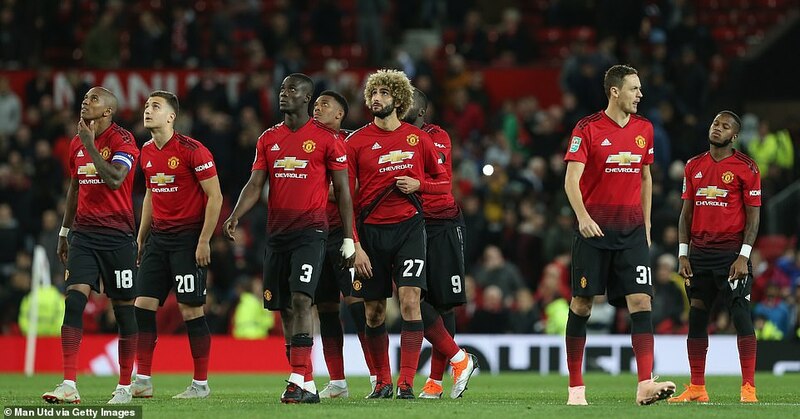 Mourinho responded by sending on Fred and Marouane Fellaini but United were dealt another blow in the 67th minute when Romero was sent off. 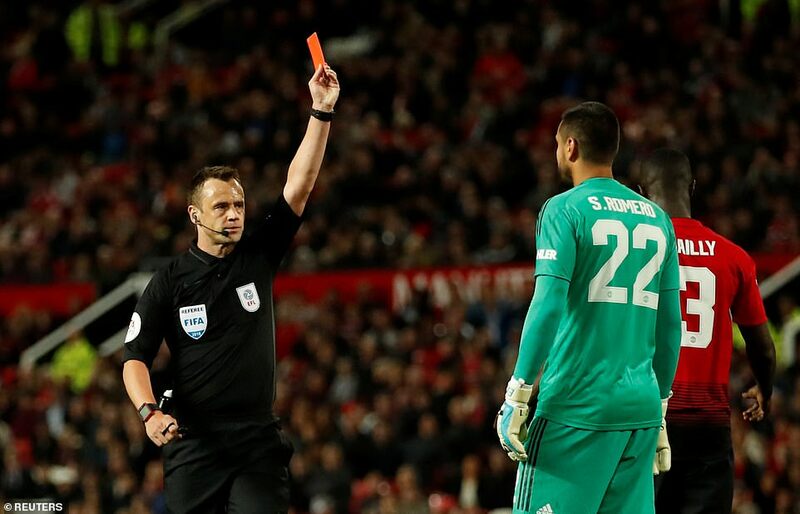 Referee Stuart Attwell had little choice but to show a straight red card as Wilson chased a throughball from David Nugent and touched it past the keeper as he raced out of his goal. Romero instinctively stuck out his left arm to block the ball and knew immediately what he had done. 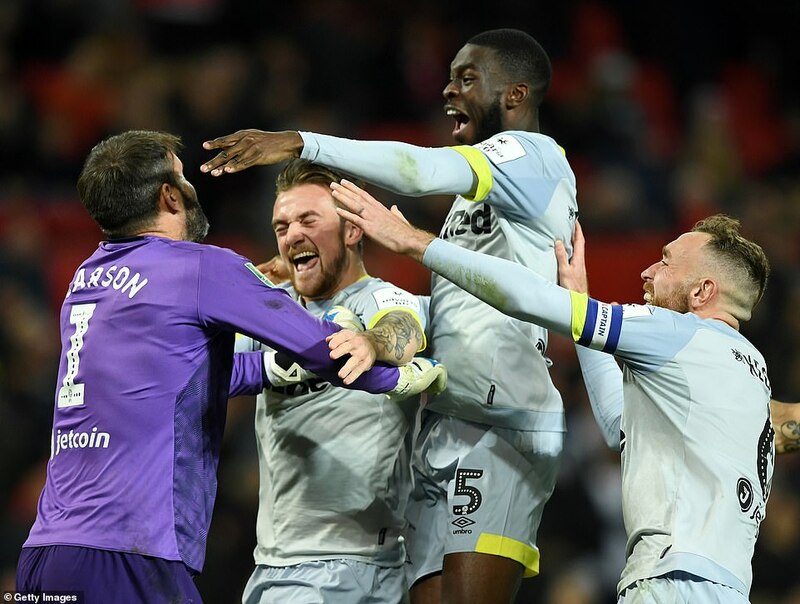 ‘There’s only one Lee Grant,’ sang the Derby fans as their former keeper came on as United’s replacement. 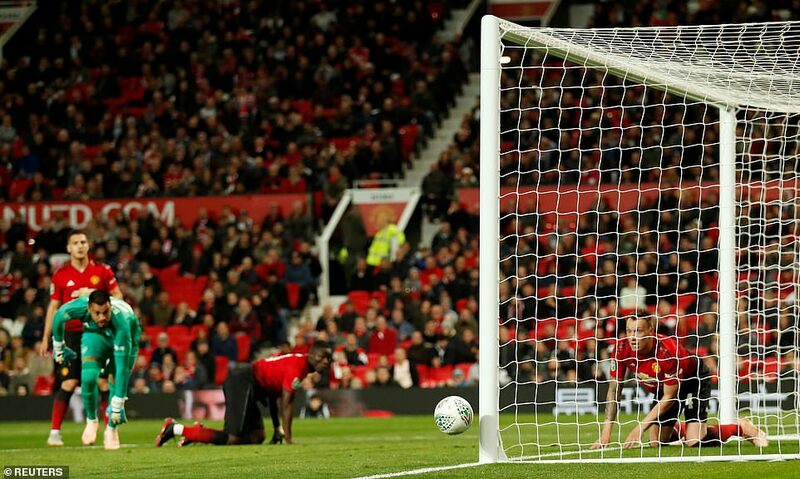 Lukaku’s effort in the 73rd minute cannoned back off the post. Grant was soon called into action.